Deep Freeze Enterprise & Deep Freeze Server Enterprise 8.35.270.5190 ~ Apps2Portable | Free Portable Apps for PC ! When you want to preserve a computer’s desired configuration, Faronics Deep Freeze is the answer. Don’t waste time waiting for Imaging solutions to restore your computers - all you’ll need is a simple reboot! Whether you need to protect thousands of workstations across your enterprise or just that one PC at home, Deep Freeze is right for the job. Are you running Windows and Mac computers? No problem, we’ve got both covered. 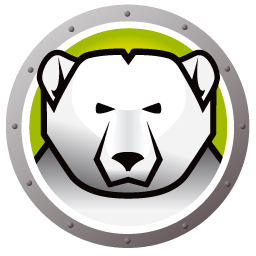 And Deep Freeze is also ready to protect your servers giving you 100% availability. - Retain data across reboots by using the complementary Faronics Data Igloo, that allows you to redirect user profiles, folders, and registry keys to a Thawed drive. - Easy deployment is available with two deployment options. Faronics Deep Freeze can be deployed as part of your imaging solution or you can deploy it as a silent install natively. - Eliminate troubleshooting with a simple restart, ensuring 100% availability. Whether you’ve downloaded something corrupt, visited a poisoned site, or made some other type of accidental change, there’s no need to worry. With Deep Freeze installed, when things go awry, simply reboot the machine and it will be returned to its desired configuration. - Enhance your security with a solution that makes your computer immune to common problems like malware and accidental changes. In addition to securing your operating system, Deep Freeze also protects the master boot record from rootkit injections, making your security truly bulletproof.